With child-obesity rates rising, graduate designer Katrina Steven has developed kitchenware that gets kids safely involved in the food preparation process and teaches them about the size of portions. Safe Slice is Steven's graduation project from the University of Dundee. It includes a kit of child-friendly food preparation products that aim to get families working together when making meals. She embarked on the project as a way of tackling the growing rate of child obesity. In the UK alone, a third of children aged between two and 15 are currently classed as overweight or obese. "With the global child obesity rate on a rapid incline it is becoming increasingly important for this generation of children to learn the value of health and nutrition," Steven said. 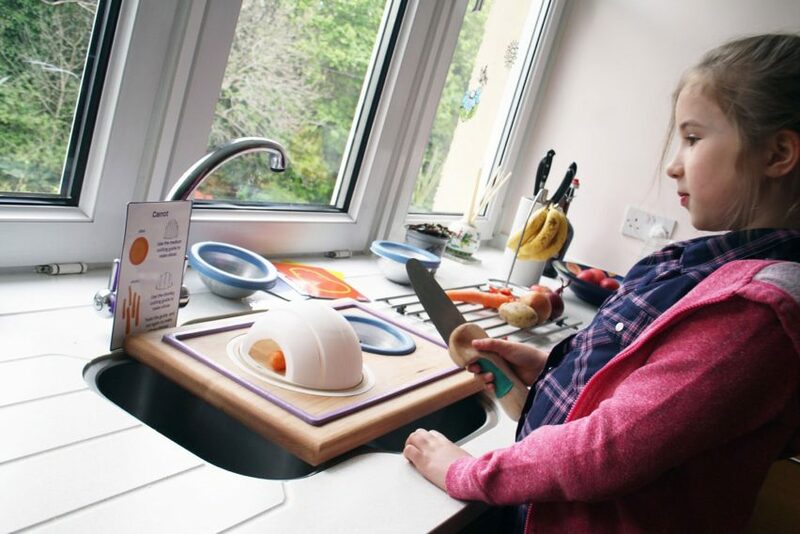 "Safe Slice is a collection of child friendly food preparation products that aims to encourage and increase children's participation at family meal times. It creates a simple, safe and appropriate platform to introduce children to basic cooking skills." 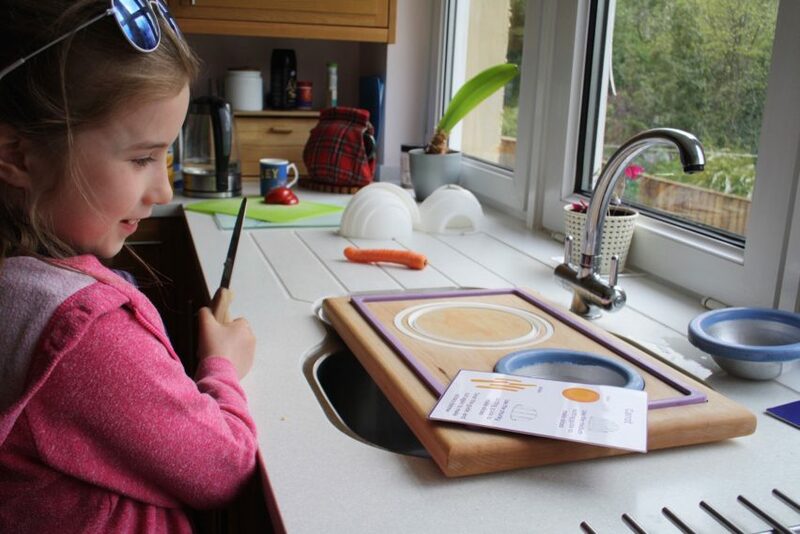 The kit is made up of a child-friendly knife, an interactive chopping board that corresponds to a range of recipes, and a set of cards showing how different ingredients can be prepared. The knife features a chunky grip, which Steven based on the way professional chefs position their hand. "This allows greater pressure to be applied on what the user is slicing as the weight and strength comes from the shoulder and not just the wrist making it much easier for children to cut through hard produce," she said. 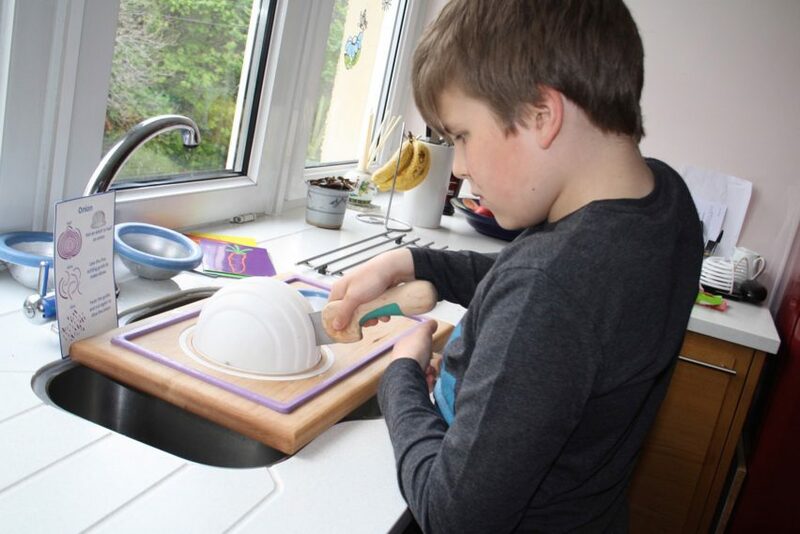 Before cutting the food, the child – under adult supervision – choses the corresponding white cutting domes, which determine the width of slice. These are then placed on top of the board with the ingredient underneath, allowing the knife to slide through the gap and chop the food. 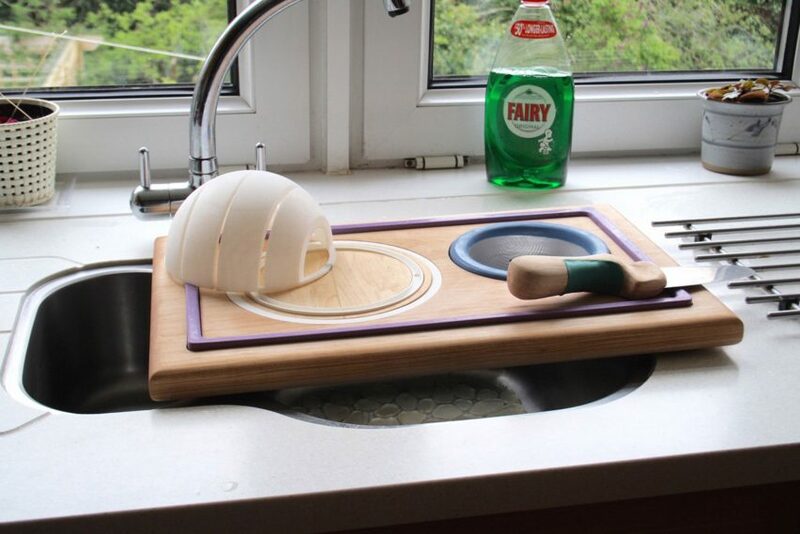 To reduce mess, the chopping board is designed to be placed over the sink. Three bowls, two that display portion size and one for collecting prepared ingredients, enable the child to measure the amount of food they are cutting up. 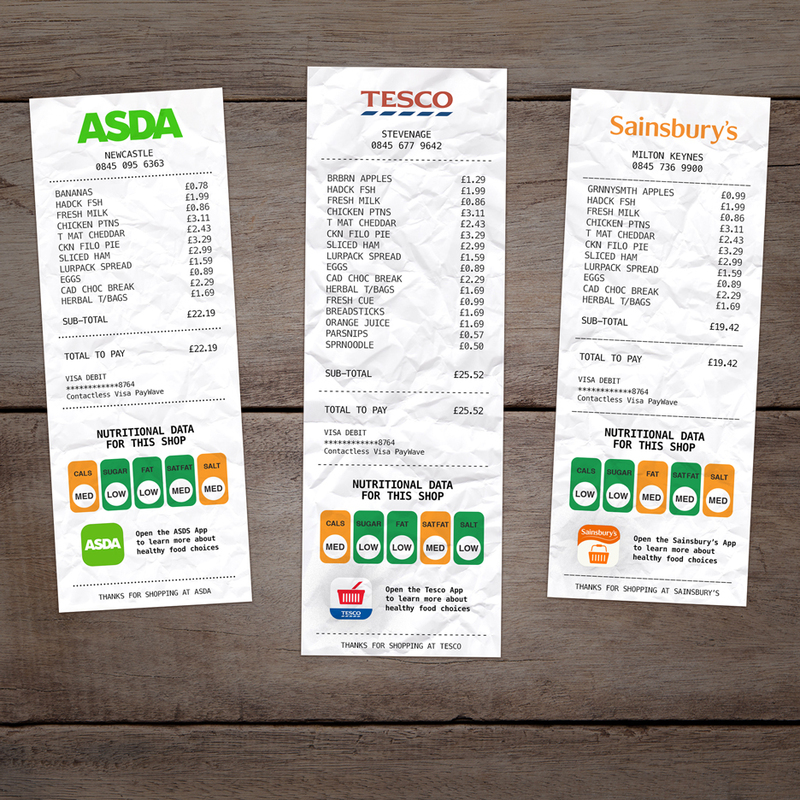 Also aiming to tackle the growing obesity rate, UK designer Hayden Peek proposed that supermarket receipts could introduce graphics showing nutritional information, using a similar system to the coloured tabs found on some food packaging.